America starts the day with America in the Morning, Westwood One’s award-winning radio news magazine, because news doesn’t stop when you’re sleeping. America in the Morning offers up-to-the-minute news reporting from around the country and across the globe, with the latest overnight developments in breaking news, politics, entertainment, business and weather, delivered first thing in the morning. Business reports from CNBC will keep you updated on the markets, America in the Morning sports experts will have late night scores, and AccuWeather provides the latest on America’s weather, with storm warnings, weather patterns and state of the art forecasts. Trout, a seasoned radio and television broadcaster, has worked in a wide-range of capacities within the radio industry, including on-air host, newscaster, sales manager, and program director. He’s a two time recipient of the Achievement in Radio award. He began his career at his high school radio station, WJVS, in Sharonville, Ohio. By age 21 he was hosting a Top-40 morning radio show in Evansville, Indiana on WSTO-FM. His radio stops include Indianapolis, Virginia Beach, Pittsburgh, PA and Washington DC. 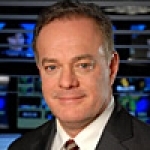 Trout is a graduate of the Mississippi State University Broadcast Meteorology Program and has worked as a television meteorologist at WLFI-TV in Lafayette, Indiana and WBOC-TV in Salisbury, Maryland. During his tenure at WBOC-TV, he also hosted the popular “Proud to Serve” segment, a nightly news feature utilizing the station’s helicopter, “Chopper 16,” to highlight the unique charm and history of area communities. Trout is a licensed private pilot and has successfully soloed in a Cessna 152. America in the Morning. Our name says it all. Listen to America in the Morning weekdays from 5-6am on 940 WFAW.